Remember last time, when I said readers were smarter than me? That's still true, but it turns out I'm not so dumb after all--just forgetful. It all started when reader Jim asked how he could pin a frequently used folder to the Windows 7 Taskbar. I told him there was no straightforward way to do that, and that he should consider creating a keyboard shortcut to the folder instead. 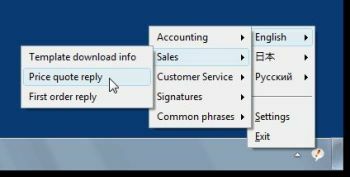 A few days later, reader Renee chimed in, noting that you can indeed pin folders to the Windows 7 Taskbar if you restore the Quick Launch toolbar. All the while, something was nagging at my memory. What other option was I forgetting? I was forgetting Kishan Bagaria's Taskbar Items Pinner, a free utility that lets you add files, folders, Web sites, menus, and other goodies to the Windows 7 Taskbar. Now for the only tricky part: In the Icon field, type %SystemRoot%\system32\SHELL32.dll, then enter a number in the adjoining field (3 for a folder, 13 for a Web shortcut--you'll have to experiment to find others). Finally, click Add Item and you're done. If you ever decide to remove any of these newly added goodies, just right-click the appropriate Taskbar icon and choose Unpin this program from taskbar. Okay, I think we've officially exhausted this subject. If there's yet another way to pin folders to the Taskbar, I don't want to know about it! f you've got a hassle that needs solving, send it my way. I can't promise a response, but I'll definitely read every e-mail I get--and do my best to address at least some of them in the PCWorld Hassle-Free PC blog. My 411: hasslefree@pcworld.com. You can also sign up to have the Hassle-Free PC newsletter e-mailed to you each week.